Should I Spend Donuts On the Police Tank or Burns State Prison? My Opinion On it Now: Meh. This was originally a prize during the first Superheroes & I wasn’t a big fan of it then..and I’m still not now. (it’s still in my inventory) I’d pass. Save your donuts for new buildings in the game. And that’s it my friends, the quick Should I Buy recaps for latest returning items..
What are your thoughts on the Police Tank or Burns State Prison? Will you be adding them to you Springfield? Do you already own them? Sound off in the comments below, you know we love hearing from you! This entry was posted in Buildings, Decorations, Donuts, Should I Buy, Tips and Tricks, Updates and tagged Secret Agent Simpsons, Should I Buy Burns state prison, Should I Buy the Police Tank?, Tapped Out Tips and Tricks, The Simpsons Tapped Out, TSTO Addicts, TSTO Secret Agent Event, TSTO Secret Agent Update, TSTO Tips and Tricks. Bookmark the permalink. I get home 10est on 5/2/17 and I can remember but the police tank. How is this fair. 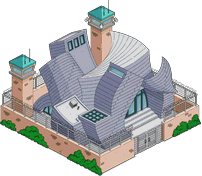 I love the Burns state prison (Frank Gehry’s) it’s beautifull. The gangsters all have a 16 hour task there. OK, I’ll buy the tank! Haha I wouldn’t pay for the prison, but like having it in my Springfield from the past event. Since it used to be a museum or whatever, it’s in a fancy part of town by the mall. I figured that’s where it was built before being converted. I love Wiggam’s task for the police tank. If I didn’t already have it I would get it. I like the prison only because it’s a joke on the Disney Concert Hall in Downtown Los Angeles. I have it from the event. Wouldn’t pay donuts for it though. I finally got a chance to buy the Police Tank! I excitedly tapped it, eagerly waiting to see some demolished buildings and…nothing. Went to Krustyland and back…nothing. Start to panic that I got a defective Tank! Tell myself to calm tf down, go through the questline & see if the animation pops up then…success! One demolished Kwik-E-Mart! Woohoo! Unfortunately, I can’t completely finish the questline, because Apu’s on Intel-collecting duty, but I’ll finish it next week! Uh, along with everyone else’s questline. I don’t think I’ve ever purchased so many premium characters in one event before! Even picked up the Gil Deal! 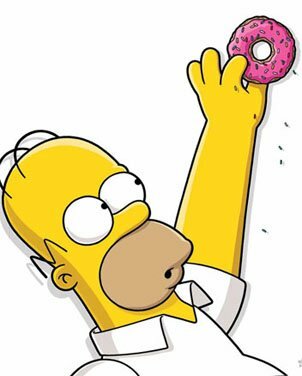 Down to 8 donuts & hoping I’ll be able to buy more soon so I can also pick up Hank Scorpio, if for no other reason than the fact that his last name is Scorpio, and I have 6 planets in Scorpio on my astrological chart (Halloween baby here!). Heehee! The police tank is tempting. Are there any better current or permanent deals that more efficiently boost your XP percentage? 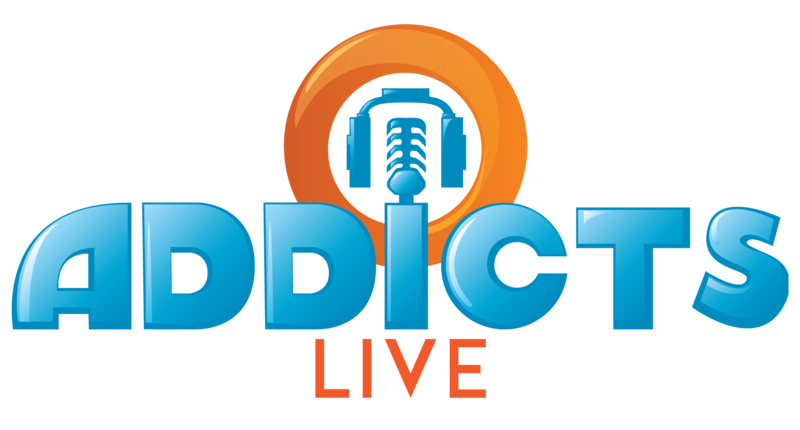 It would be nice if TSTOaddicts had a chart for the biggest boosts for your buck, err, donut. Buying 25 mystery boxes will almost always net you 9%, for a cost somewhere between 58 and 80-something donuts. If all you’re interested in is boosting your percentage, there’s not a better deal out there. Is there a list of what comes in the mystery boxes since they were updated last year? Which items actually come with an increase in XP%? Sorry….did you want to know everything that comes in the mystery box? I just told you what earrings bonus percentage points. The other items are Chalmers’ car, bomb shelter, minnow pond, Khavash(sp?) cart, Lard Lad, and donuts (10 or 30). I don’t like having any kind of building “farms” (outside of my KEM farms), so I have about 65 Lard Lads in storage. I would be so happy if I could sell them back for even one donut each. I do sell back most of the other stuff, though, to help raise money for my KEM farms. How many kem’s do u have? Not sure what you’re asking here…. I have about 4 or so “permanent” KEMs. I farm between 40-76 KEMs at a time right now, but, once I reach my current goal, I’ll probably just stick with my 40-KEM farm and do away with my secondary one (which I use to farm up to an additional 36 KEMs). 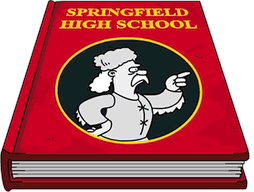 1 – (“Free”) The Springfield Heights buildings give over 150% bonus xp (1-5% each) if they’re not in storage. They don’t give bonus money, so it doesn’t show on the conform-o-meter. 2 – (2 donuts per %) The Beach Hideaway building gives 20% for 40 donuts once you upgrade and place the pieces. You can have up to 5. 3 – (<10 donuts per %) Mystery boxes, but you don't buy one, you buy a bunch… you will average less than 10 per % in aggregate, plus you will get Lard Lads, if you want more income buildings. 4 – (15 donuts per %) The best single unlimited item for the donuts that's always available is the Jet Engine Bike, 2% for 30 donuts. 6 – (Have fun!) Do not let any of that stop you from getting something you want. I don't care if the hammock district gives me %, I must meet my growing town's demand for business hammocks! Actually wanted to restock my donuts, but after reading what the tank does and Wiggum having a premium paying, visible and funny 4 hour task, i bought it. I wondered why one of my KEM caved in. Also has a short Quest. Definitely buy the tank if you can. I still enjoy it after all this time! I decided to get the tank to put in my space area after seeing it in a friends town with Wiggum in it. Not interested in having another prison in my town especially for 90 donuts. Thanks for the post. For anyone interested in the tank, Wiggum has a permanent 4 hour visual task there. It’s hilarious as well. I have the prison from the event, so I had no idea it was available again. I’ve been craving the tank since the…I believe Yard Sale 2016 if that exists. Idk what the event was called, it was when they last offered Cool Homer. I don’t have enough donuts for it now, but I’m hoping to have enough when they offer it on the last few days of the event. And the Kwik E Mart, AND the Brown House!